Seriously, these are THE perfect earring. 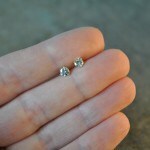 The stones are Forever Brilliant moissanites, each 4mm across, so total carat weight is just shy of .5 carats. 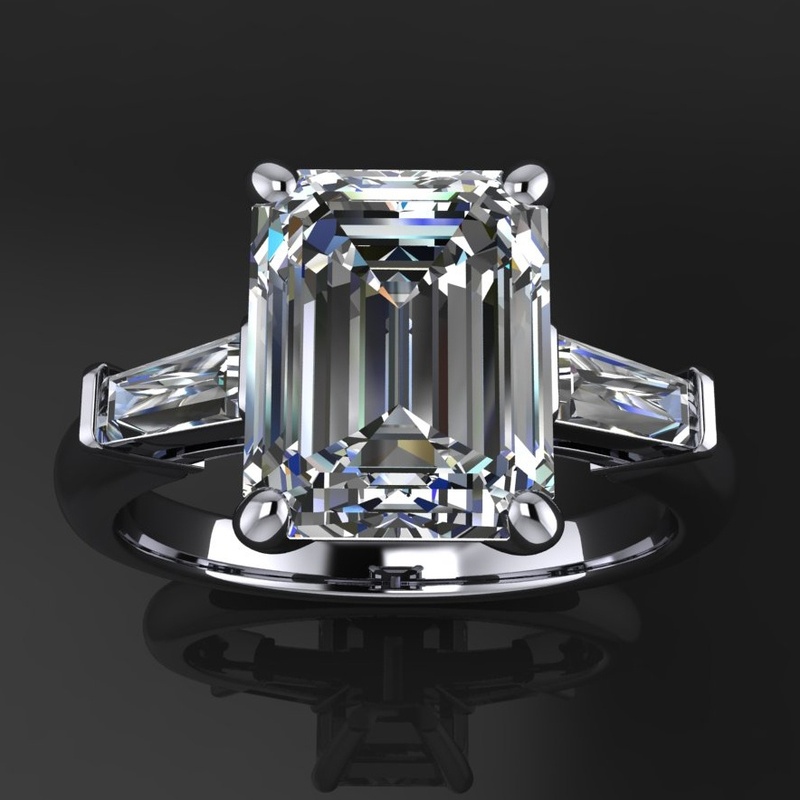 Moissanite is a man made eco-friendly stone that is more brilliant than diamond and 1/10th the price. It's born from a meteorite that hit the Earth in Arizona. Yup, I'm dead serious. The solid gold settings are a martini style (3 prong) 14k white gold setting, with a twist back for a safe, secure fit. A standard back is also available. 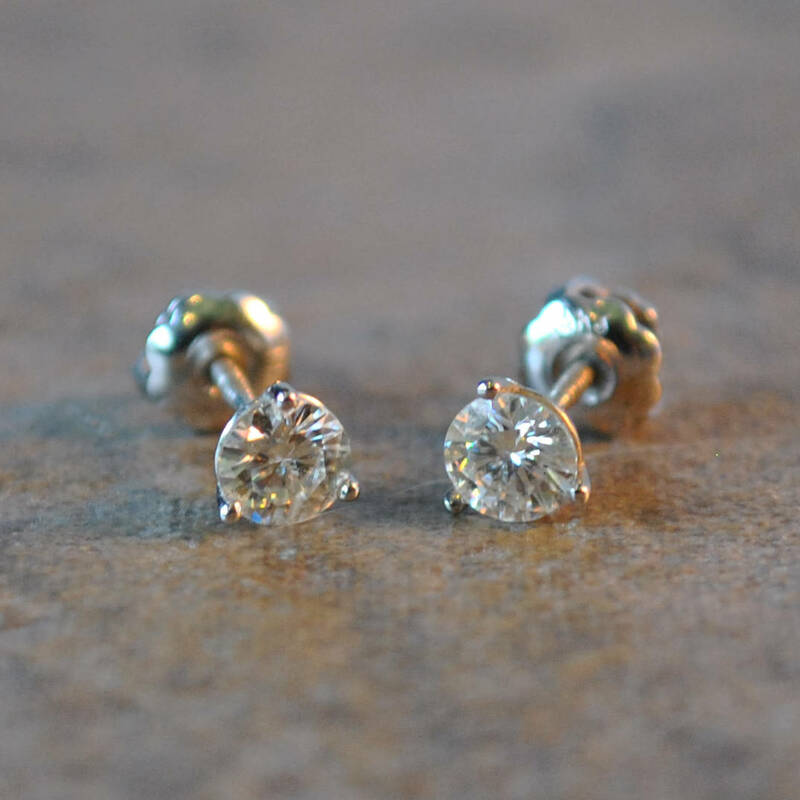 Seriously, these are THE perfect earring. 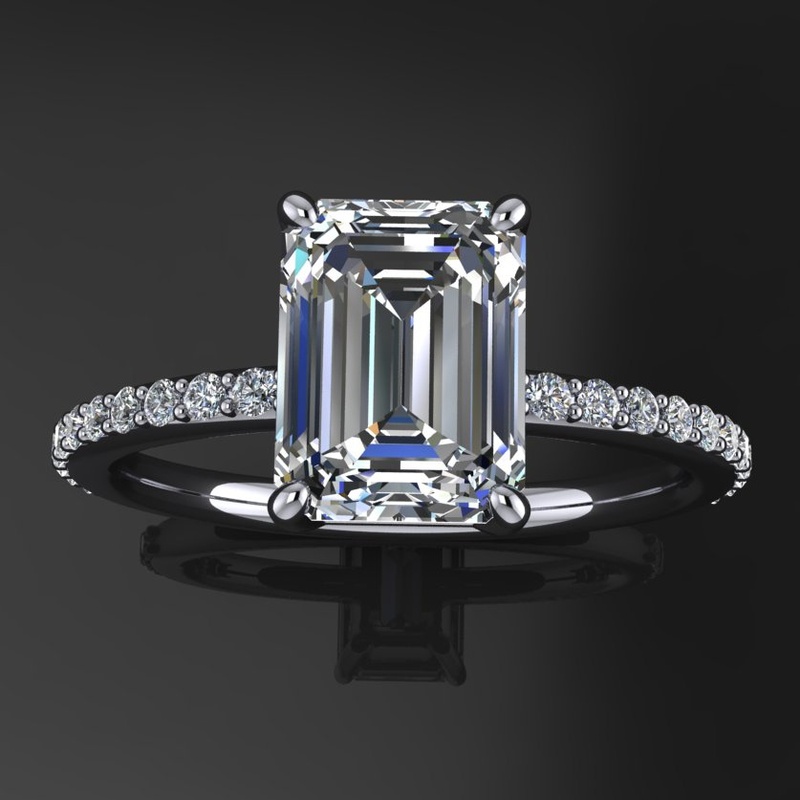 The stones are Forever Brilliant moissanites, each 4mm across, so total carat weight is just shy of .5 carats. 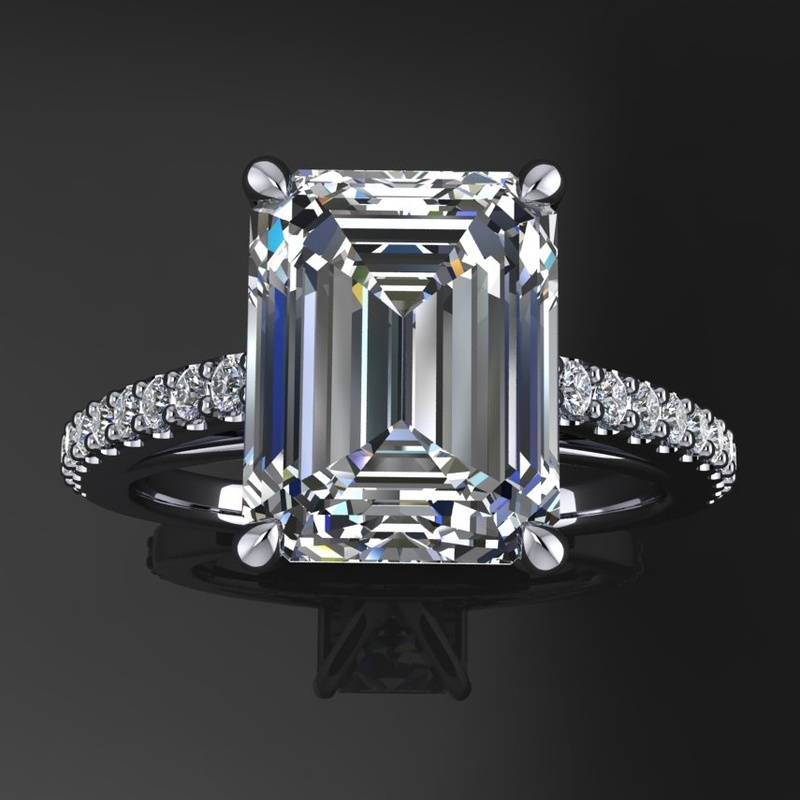 Moissanite is a man made eco-friendly stone that is more brilliant than diamond and 1/10th the price. It’s born from a meteorite that hit the Earth in Arizona. Yup, I’m dead serious. The solid gold settings are a martini style (3 prong) 14k white gold setting, with a twist back for a safe, secure fit. A standard back is also available. These make a beautiful petite stud earring for every day, or if you have second piercings, they give you a bit of sparkle without overwhelming your delicate earlobes. 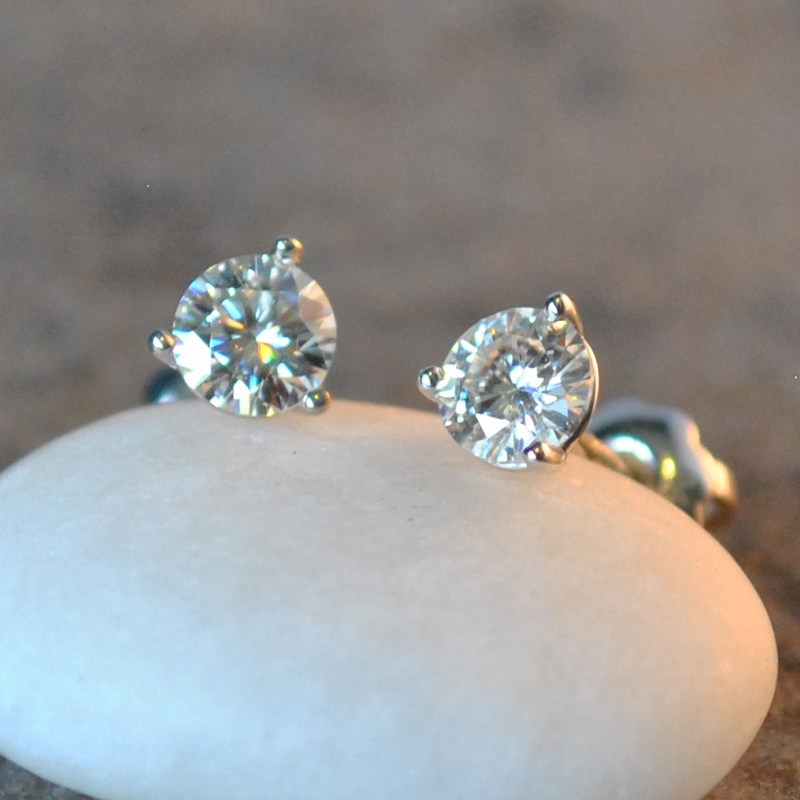 <> These moissanite earrings can be set with nearly any stone, any size. So if you’d prefer sapphires or diamonds, or another gem, you have only to ask. For size, we can go a bit bigger, or a lot bigger, just drop me a line and I’ll price them out for you. 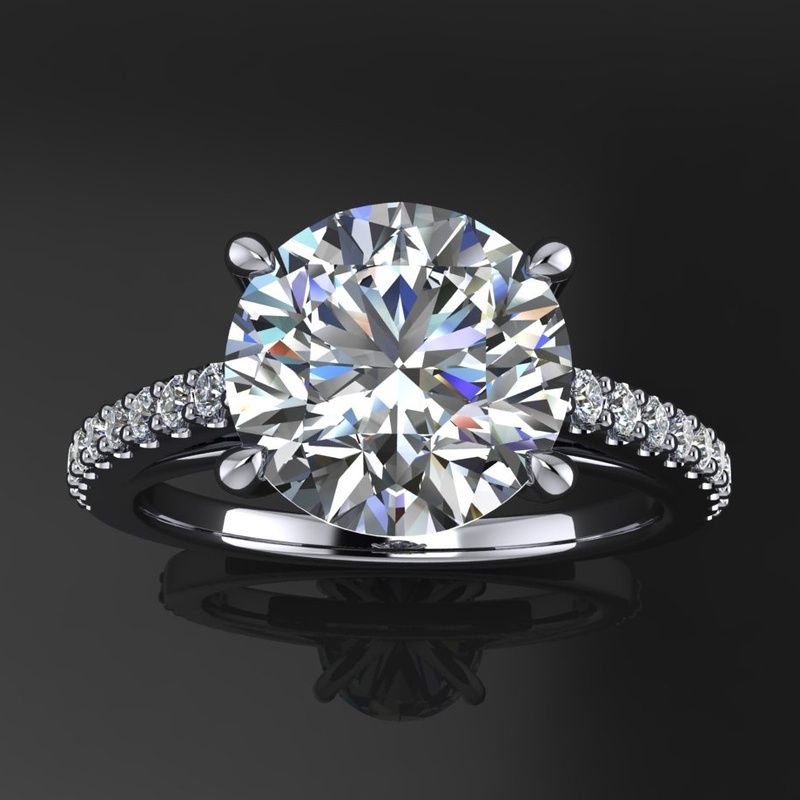 With moissanite, you can go crazy and still stick to your budget. <> They can also be made in 14k yellow gold. <> Orders take approximately 4 weeks for fabrication. 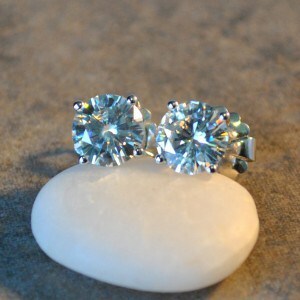 <> Your earrings will arrive in a beautiful gift box. A simple elegant 3 prong martini setting. 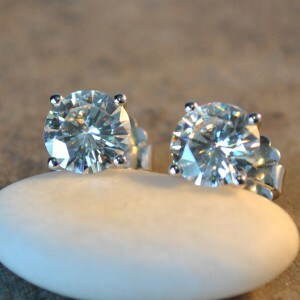 Forever Brilliant moissanites, 5mm across, each is .5 carat, so one full of sparkle here. They ship within 1-2 weeks. A fabulous gift! A simple elegant 3 prong martini setting. 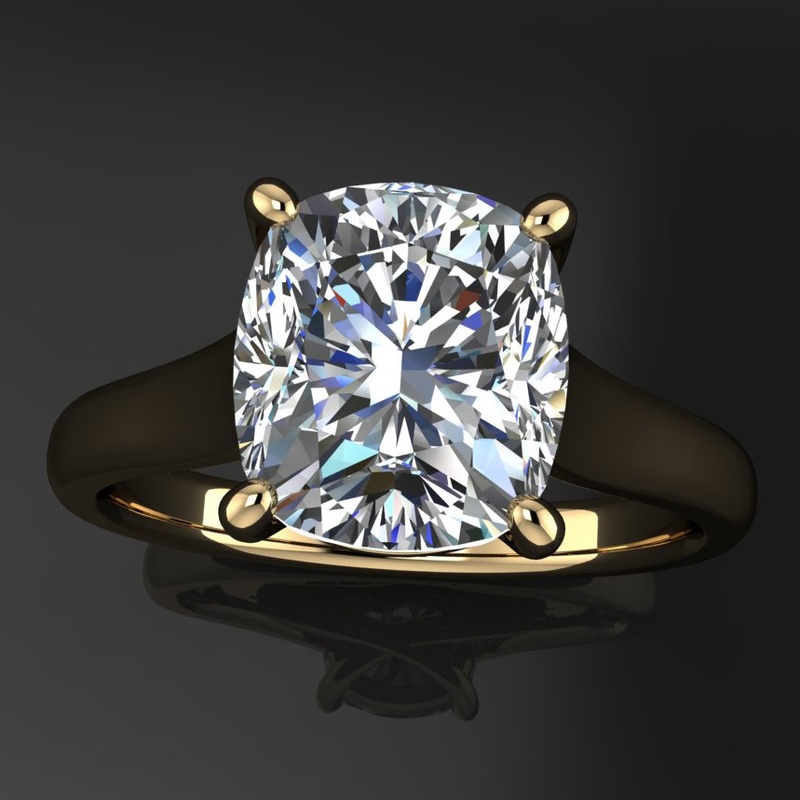 Forever Brilliant moissanites, 6mm across, so 1.5 carats of fabulous deliciousness. They ship within 1-2 weeks. A wonderful gift! A simple elegant 3 prong martini setting. Forever Brilliant moissanites, 8mm across, each is two carats, so four full carats of stunning gems. They ship within 1-2 weeks. The perfect gift! 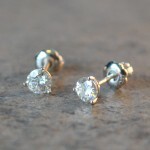 A simple elegant 3 prong martini style stud earring. Forever Brilliant moissanites, 6.5mm across, each is one full carat, so 2 carats of stunning gems. They ship within 1-2 weeks. 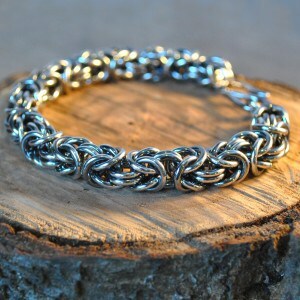 A solid sterling hand woven bracelet – gorgeous and heavy. These bracelets start out as a pile of sterling rings(see photo), and with two pairs of jewelers pliers each ring is opened and closed by hand – woven into an amazing piece of jewelry. This bracelet is high polish sterling silver.